Sometimes as IT professional, to troubleshoot a problem you need to run an application under a different user context. From Windows you can do this while still logged on to your current user account. To do this, press and hold the "Shift" key, then right-click on the application you want to run. 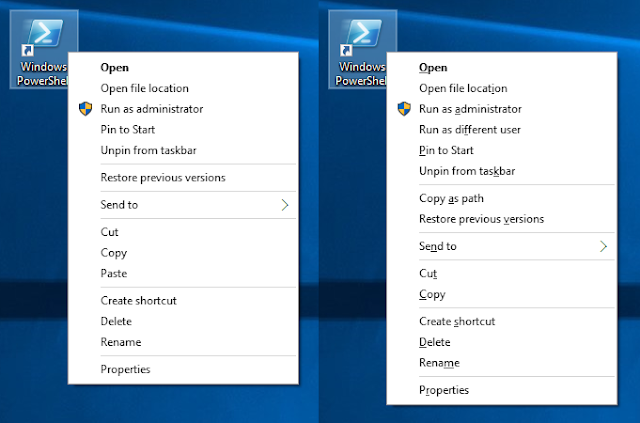 You should then see the context menu with a few more options than usual one of which is "Run as different user". Left: Normal context menu. Right: Context menu with the "Shift" key held. 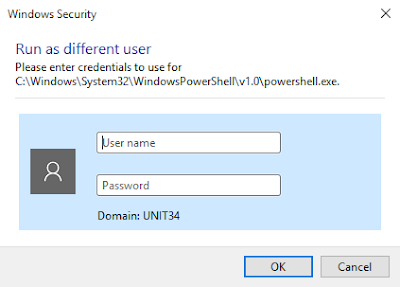 Clicking on "Run as different user" will bring up the Windows Security dialogue box where you can enter the username and password of the user you want to run your application as.